Hill & Ray leben den Traum eines unschlagbaren Duos wie Bonnie & Clyde. Doch anstatt sich mit Banküberfällen über Wasser zu halten, kreieren sie ihr eigenes Musik-Universum im Berliner Hinterhof mit alten Drums und Gitarren. Dann packen sie ihren kleinen Tourbus bis obenhin voll und düsen durch die Lande. Songs mit dem Spirit aus Folk, Rythm’n’ Blues, Country & Rock kommen auf die Bühne. Selfmade, authentisch und leidenschaftlich. Sie erzählen Geschichten von mutigen Entscheidungen, apokalyptischer Liebe und unstillbarem Lebenshunger. Lass dich anstecken von der authentischen Freude zweier Musiker, die als eingeschweißtes Team nicht nur den Soundtrack für ein besseres Leben im Gepäck haben, sondern auch die Liebe für das, was sie tun zum Ausdruck bringen und uns daran erinnern worum es im Zirkus des Lebens doch eigentlich geht. Deutsche und englische Songs, die beim ersten Hören schon Ohrwürmer sind und bei mehrmaligem Gebrauch süchtig machen. Kopfkino der großen Gefühle, Hill & Ray, zwei Stimmen, zwei Seelen im Kosmos der Musik. Peter Ray hat bereits 2 Alben (2010 „Landed“, 2012 „444“) veröffentlicht und Jamie Hill war auf „444“ als Gastmusikerin dabei. Ihr erstes gemeinsames Album „Secret Garden“ ist 2016 erschienen und aktuell touren Hill & Ray auch mit ganz neuen Songs für ihr nächstes Album. New Video - 37 Degrees! Secret Garden - Neues Video ist online! Videodreh - "Please don't call"
Wir behalten Eure Daten für uns. 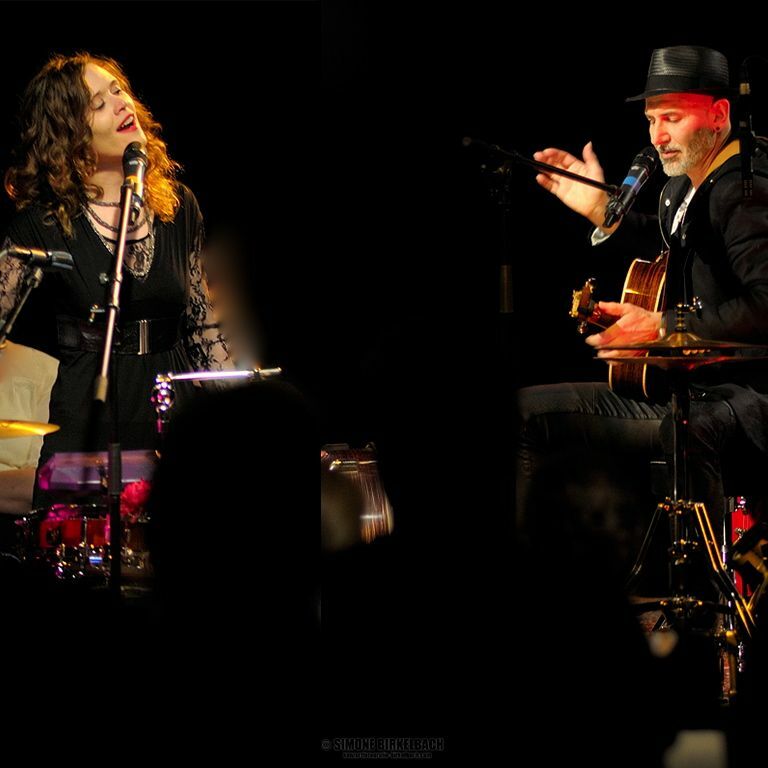 Jamie Hill & Peter Ray are a unique team and form an exceptional, authentic duo! Geared together like clockwork they create the heartbeat of their music: The drum groove, that makes you wanna dance. Peter's sophisticated and passionate guitar technique plays a major part. It's always a great experience to be around when he get's it going - acoustically, electrically or by skillfully tapping the beat on it. Jamie and Peter's harmony vocals complete their sound distinctively. With a range from rocky to soft they reach the audience in an honest, in depth and still happy-go-lucky kind of way. Concertgoers really get excited by this duo's versatility. The two take the spirit of blues, country, americana, rockabilly and folk music into their pop and rock songs. German and English lyrics tell of moving experiences, thoughts and feelings. Pushing limits, rising above the familiar, leaving boundaries behind to finally find yourself are recurring themes that keep the songs connected. They love to cruise around in their cosy, little tour bus and perform shows for lovely people all across the country. Jamie and Peter stand their ground in almost every setting, which allows them to play anywhere from clubs to open air events, private partys or even in your kitchen. Original songs or cover versions get arranged to their personal taste, always keeping their own authentic style - you hear it, you name it: Jamie Hill & Peter Ray. "But you can't get the sound from a story in a magazine" (Billy Joel) ... So just listen and enjoy! And I thought that’s the deal how it goes, why would anyone care? Who would have thought that this could be real? Why is small talk such a measure? Has the sky always been so low? Has the river ever stopped its flow? Have the clouds always been so grey? How many hours counts the day? If I listened would you tell the truth? Do you remember all our little cues? Can you face yourself or live in denial? If I saw you now, would you smile? If I called you would you answer me? Or lift me up and listen to my sound? How will I reach my faded trust and grace?